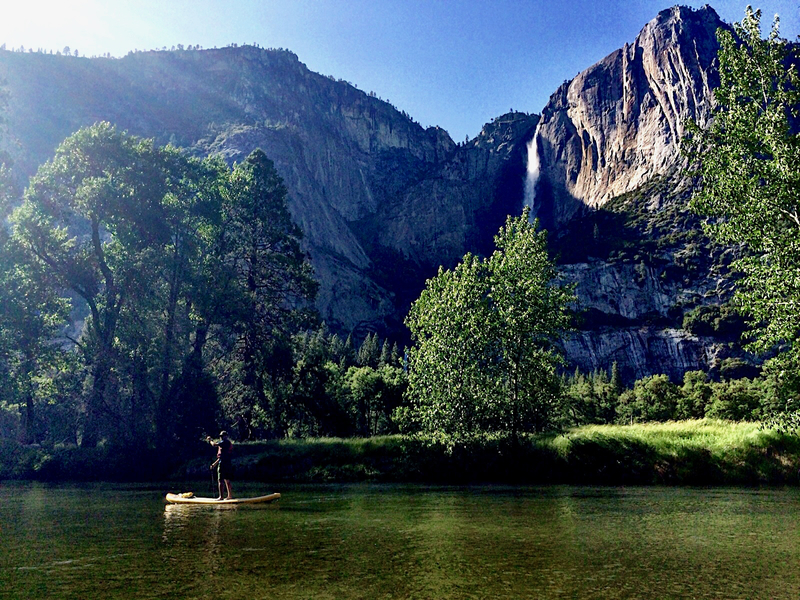 How and When to Secure a Great Campsite in Yosemite National Park. 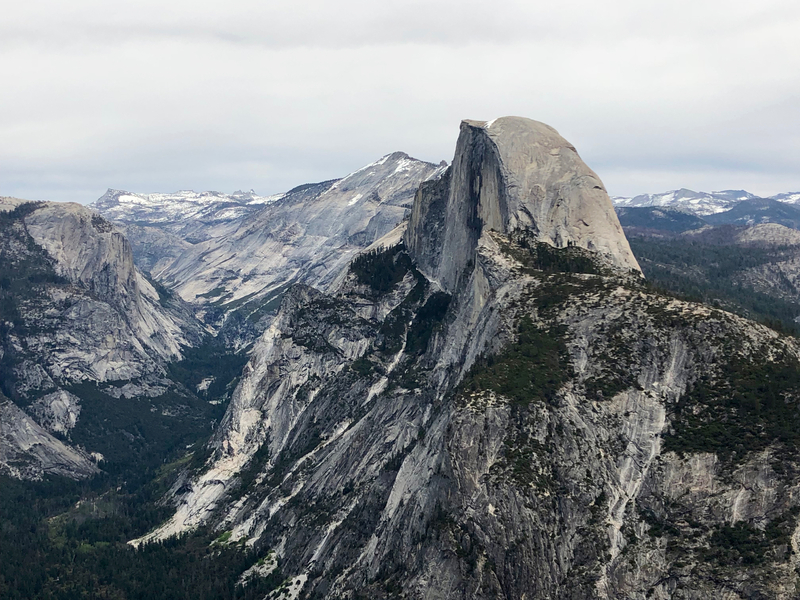 To help you secure the best Yosemite campsite(s) that will make for a memorable vacation, consider following these steps in advance of April 15that 7am PST (or any month on the 15th at 7am PST) in order to have somewhat of a competitive edge! 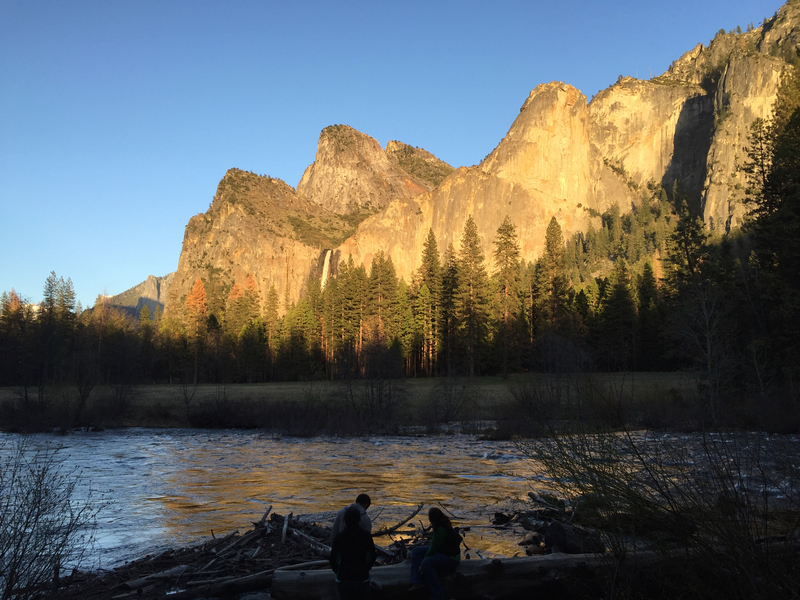 Knowing the type of activities you are most interested in doing while in Yosemite National Park will be helpful in understanding the daily logistics associated with getting to them from your campsite. 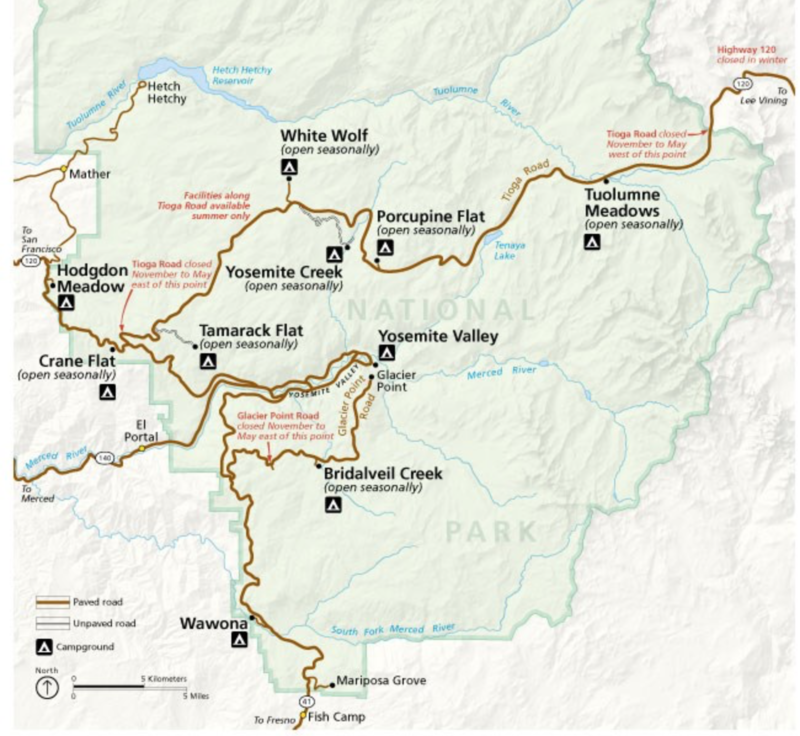 That said, it’s helpful to study the official Yosemite Map relative to your hikes, bike rides, guided tours, rafting, paddle excurions, etc. 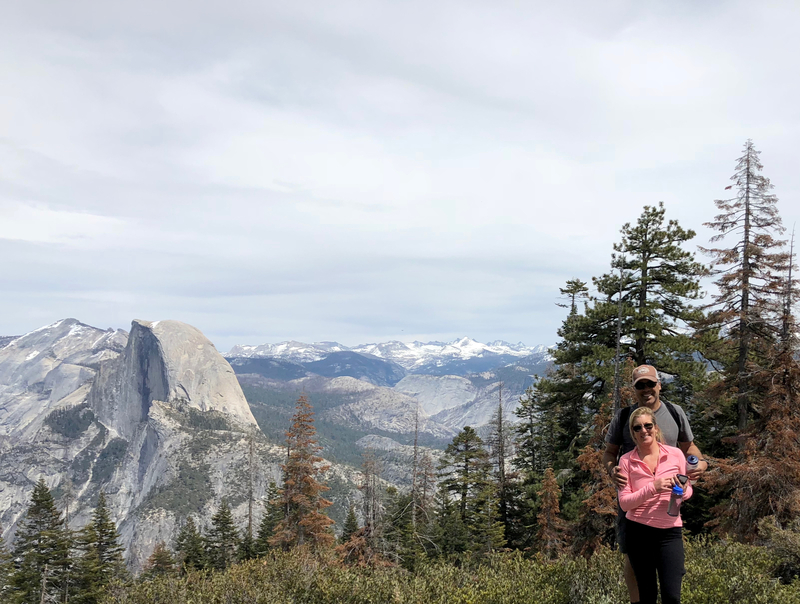 Be sure to ask your friends and family who have camped in the Park before, read blogs and maybe invest in a good book about Yosemite so you’re feeling familiar with all the Park has to offer, which is a lot! 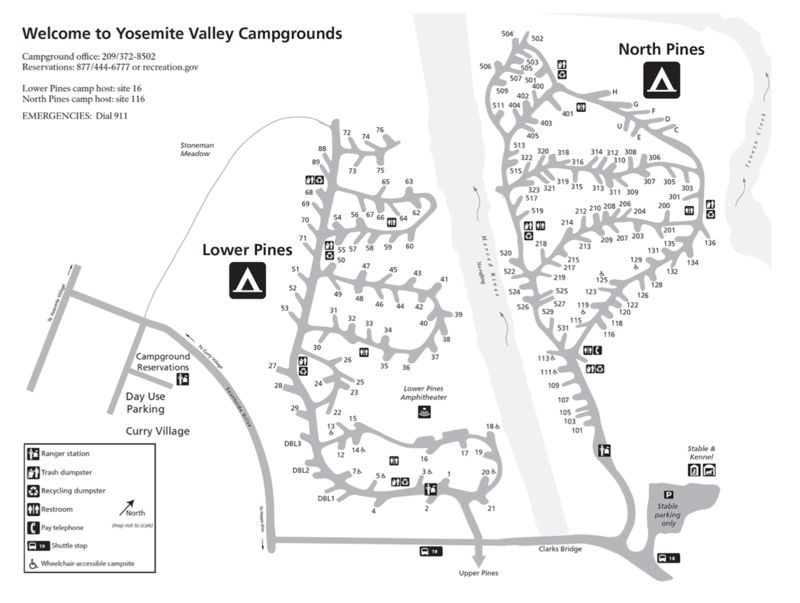 Overview Map of Yosemite’s Campsites. For detailed map on Yosemite Valey use the link above. 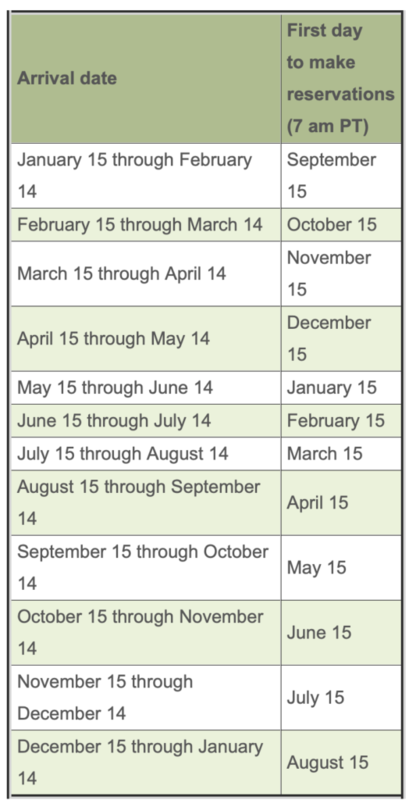 Different campgrounds have different opening and closing dates, fees, amenities, type of camping allowed, lengths of RV’s allowed, etc. 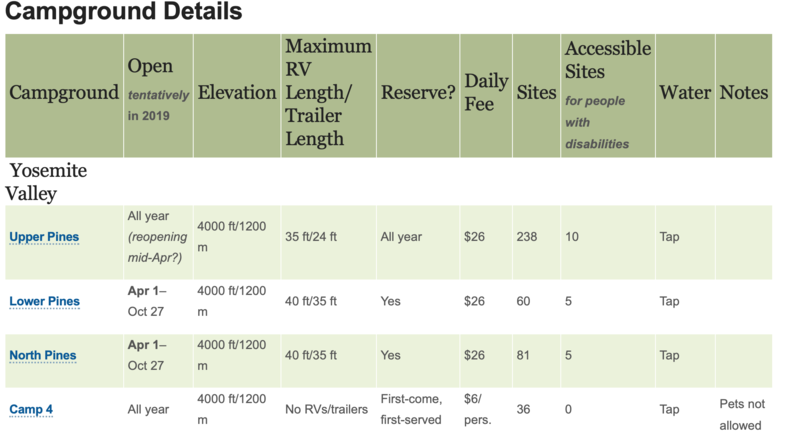 Knowing which site offers what will help you narrow down your campgrounds (click here). 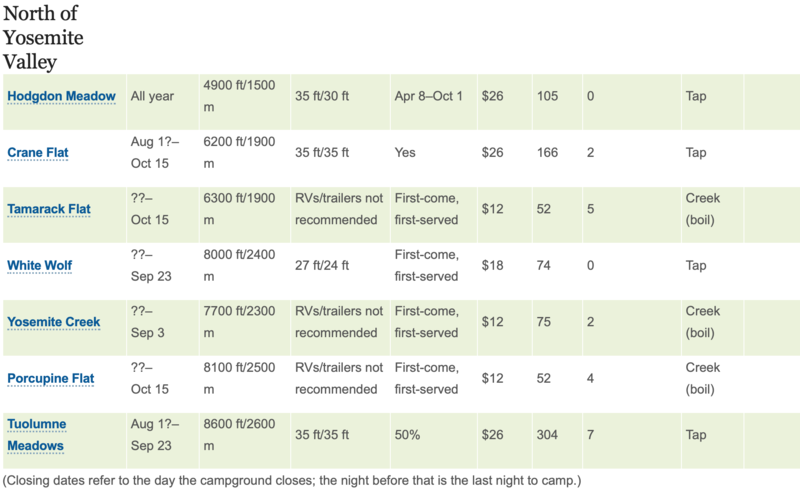 The maximum per Yosemite camping site is six people (including children) and two vehicles. You can only make two reservations per phone call or online transaction, so if you need more, find a friend to help. The general rule for Yosemite camping and increasing your odds of getting a campsite is: Smaller is Better when it comes to RV length. 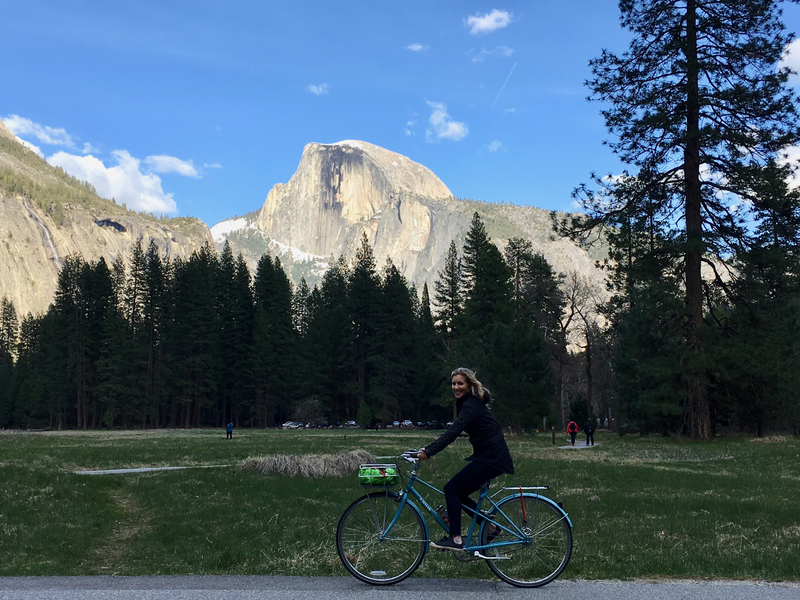 In Yosemite Valley the maximum RV length is 40 feet and maximum trailer length is 35 feet, however, only a total of 12 out of 379 sites of this size are available (six sites each in Lower Pines and North Pines, which are open spring through fall). 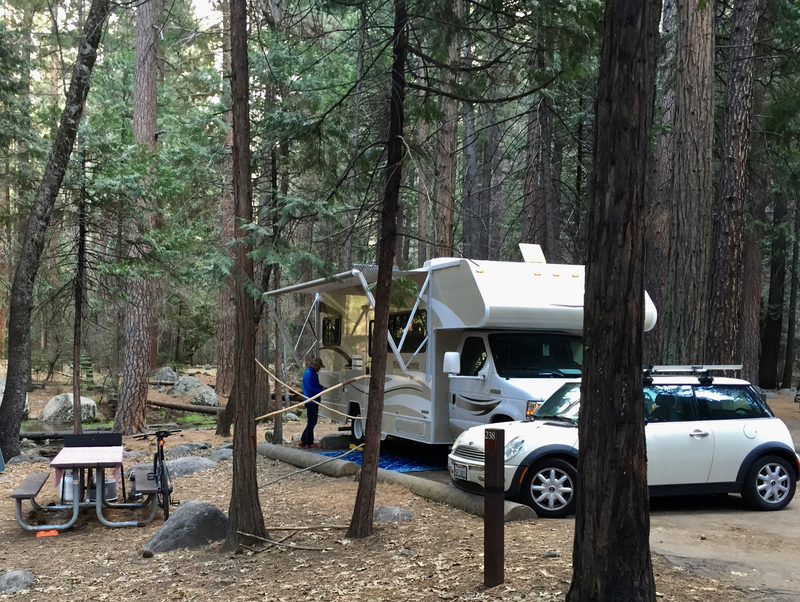 Many more sites exist in Yosemite Valley and elsewhere in Yosemite that can take RVs up to 35 feet or trailers up to 24 feet. For more details specific to camping with an RV please read this link carefully. 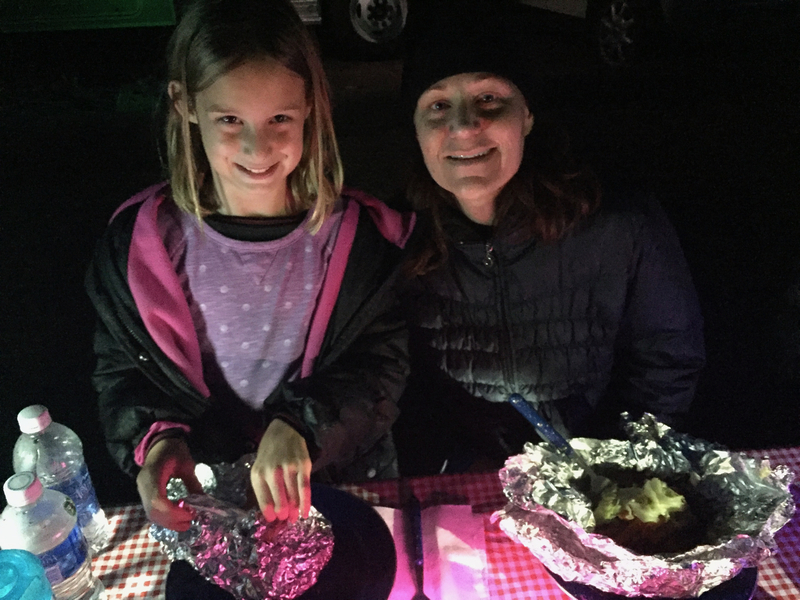 Once you’ve picked your first, second and third choice campgrounds – begin to review the sites themselves, keeping your RV particulars in mind. Sometimes we use the website Campsitephotos.com to help us select. The link takes you to photos of Upper Pines, the largest Yosemite valley campground. This website has photos of most campsites in the park. 6. Booking @ 7AM PST on the 15th! As a triple backup to your online reservation team, you might consider also making a call to their reservation office at 800-44-6777 or 518-885-3639 from outside the United States and Canada. It’s old school, but if you’ve got an extra person helping it might be work trying.